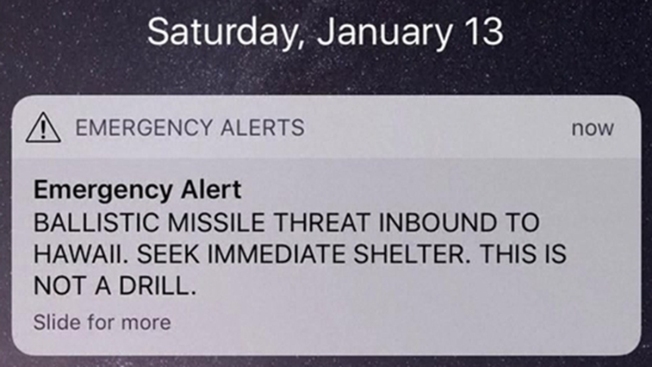 As James Sean Shields and Brenda Reichel were calling loved ones after the first alert, Shields began to feel a "severe and painful burning in his chest area"
This Jan. 13, 2018, file photo shows a screenshot of the false emergency alert sent to people in Hawaii. A Hawaii man claims the false ballistic missile alert earlier this year caused him to suffer a heart attack, according to a lawsuit filed on Tuesday. 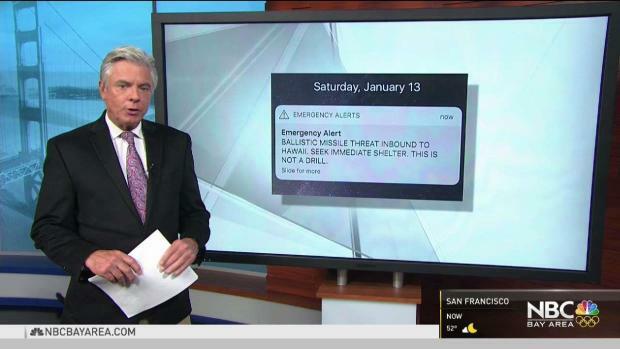 The botched alert was sent to cellphones on Jan. 13, claiming a missile was headed toward Hawaii, causing mass panic, NBC News reported. James Sean Shields and Brenda Reichel, listed as plaintiffs in the complaint, were living in Honolulu at the time. They both "believed this message to be true and were extremely frightened and thought they were going to die," according to their complaint. Around 8:15 a.m. local time, as the couple was calling loved ones, Shields felt a "severe and painful burning in his chest area," the complaint says. It took the state 38 minutes to correct its mistake. But the couple had arrived around 9:30 a.m. to Straub Medical Center, where Shields went into cardiac arrest and received life-saving CPR, defibrillation and surgery. The couple was unaware a second alert had been sent to correct the false alarm. The suit names the state of Hawaii, the former administrator of the Hawaii Emergency Management Agency and other unnamed defendants. Shields' and Reichel's attorney did not immediately return a request for comment made by NBC News.